Sasha Matthews’ Everyday Superheroes project started off as a fundraiser for ACLU. Her idea was to draw real people doing what they love in life, but in the form of a superhero. 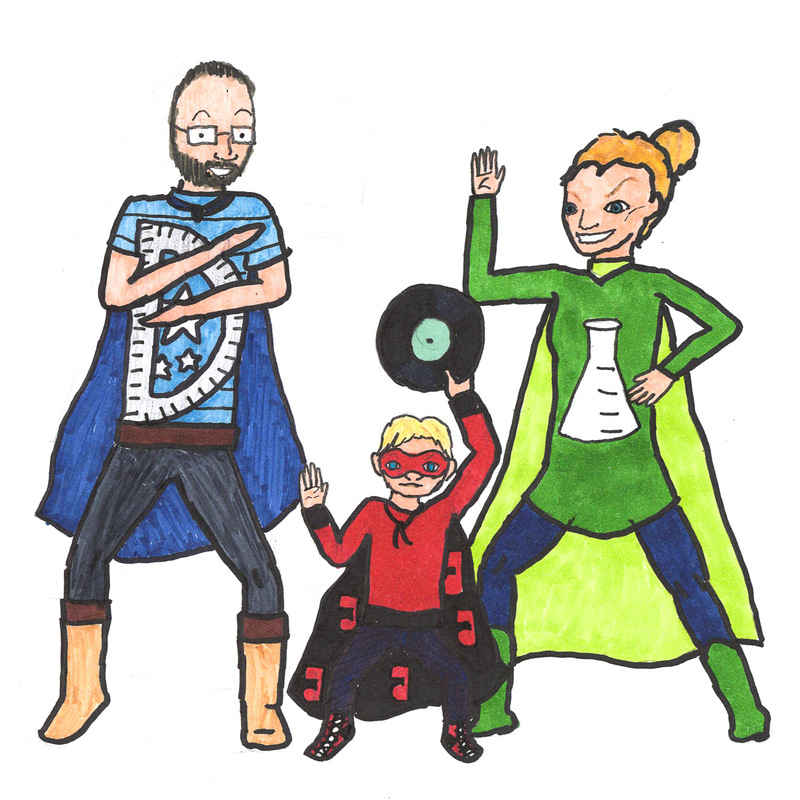 This one was commissioned by Caitlin Coe (she used to be my teacher at American Museum of Natural History), her husband Peter Coe (a math teacher), and their son who is a music fan. Read more about the Everyday Superheroes project on Amy Poehler’s Smart Girls.